Have you seen these coloring books for grown-up girls? Some of my writer friends got one. When I saw this one (of course, it’s about food and the kitchen, so I love it! ), I just had to get it. I’m getting ready to hang out with my little granddaughter to do some artsy recipes. 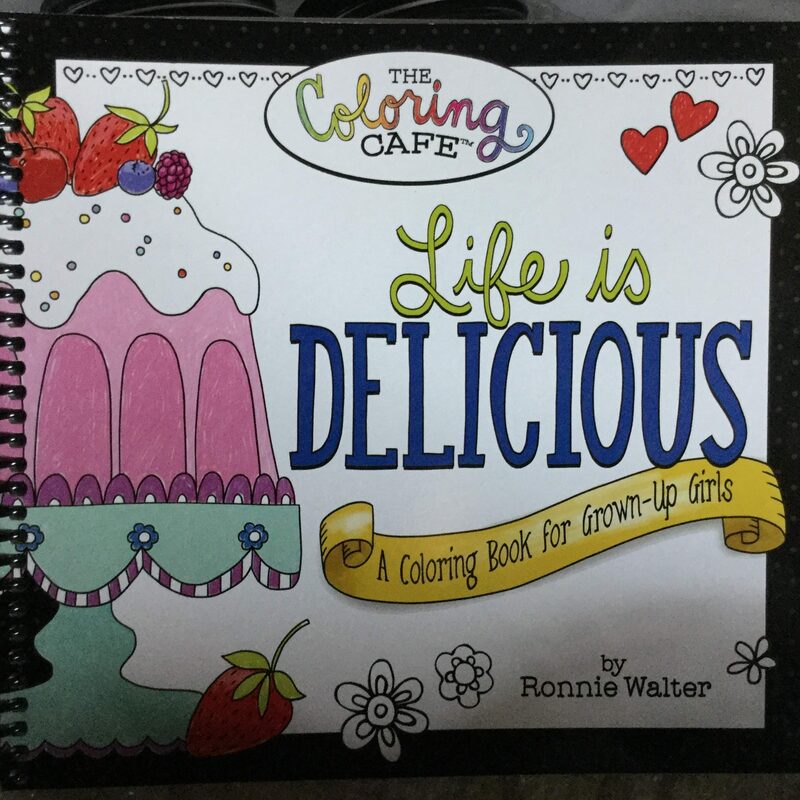 When I was a young girl, I loved to color. Now my oldest granddaughter likes to color. So I got the coloring book to color with her. Kitchens are for the whole family to gather to do activities other than just eating. It’s good for creating art projects. 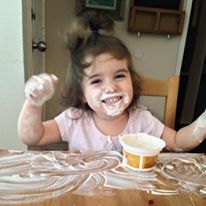 I gave my granddaughter some yogurt to eat one day at the kitchen table. She got really quiet, and I looked over to see why. She had spread the yogurt all around her on the table and had it all over her face. I’m not sure if she ever actually ate any. It was so funny. That day I decided yogurt is a very inexpensive and fun way for kids’ art in the kitchen. Yogurt Silly Putty – Grandparents and grandchildren can have a good time with this homemade silly putty. Breakfast Banana Split – A fun breakfast with bananas! Strawberry Yogurt Bark – Let the little tots help you make this yummy snack. Rainbow Fruit Skewers with Yogurt Dip – You want a colorful and pretty treat? Make this beauty. That’s today’s roundup. I hope you enjoyed it. Tell me if you try one of these artsy recipes with your little ones or grandchildren. I’ll be trying some out with my granddaughters soon!